Amazing yet horrifying story about black magic. True – God’s shelter is the only way we can be fearless and protected from all dangers in this material world. 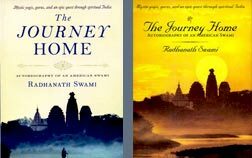 HH Radhanath Swami demonstrates how with pure faith in the devotion one can overcome any kind of obstacles. “God’s shelter is the only way we can be fearless and protected from all dangers in this material world.” This is a solid proof to demonstrate how God protects all who have faith in Him. Thank you Maharaj for this inspiring article which deepens our faith in spirituality, specially during testing circumstances. God’s shelter is the only way we can be fearless and protected from all dangers in this material world – sounds quite practical. Afterall, who will deny the fact that this world is full of various kinds of dangers and no one can claim that he is free from all of them. Taking shelter of God is the only hope. 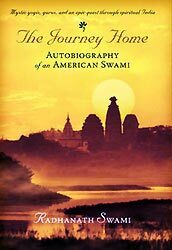 Thank you Radhanath Swami! It was a chilling episode of Srila Bhakti Vinod Thakur’s life! Thank you. Very inspiring. 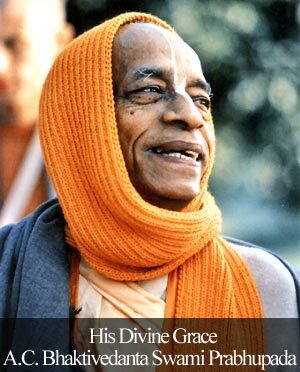 Srila Bhakti Vinod Thakur Maharaj ki jai. We should all guard against this black magic. Only a person who is spiritually powerful can overcome such spells. Happy to read that no power can take over power derived from sincere practice of Devotional service! !